This quilt is a great way to use up all your scraps. All tucked in for a slumber party these adorable pets templates come in multiple sizes to you can mix and match your pets. Make an all cat quilt or all dog quilt or mix up the group like I did. The quilt is approximately 45"x 48" but can easily be upsized by adding extra rows of blocks in the center. 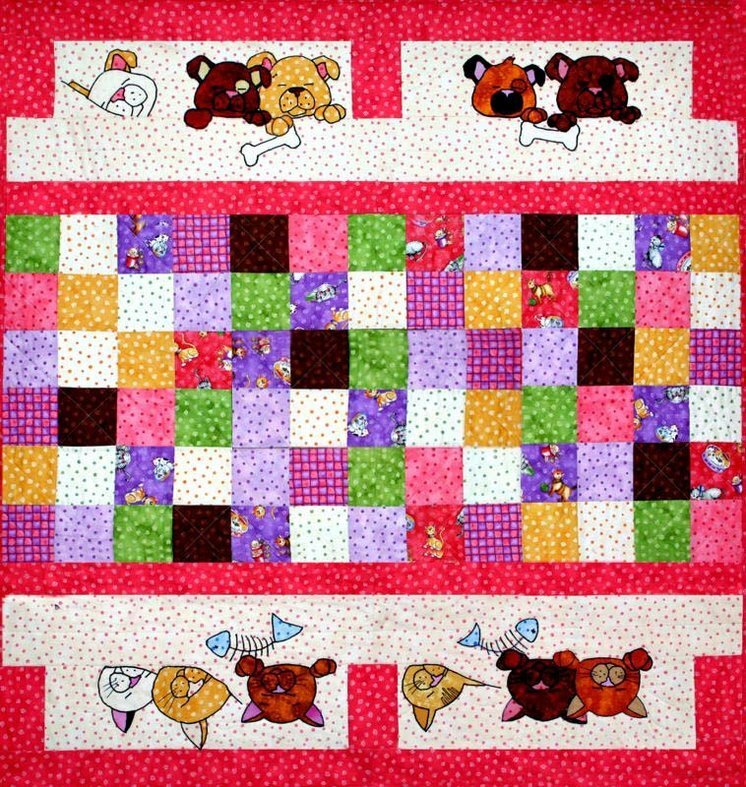 This quilt is sure to please your pet lover or child!